Facing the possibility of bankruptcy in 1987 after a string of failed titles, SquareSoft (now Square Enix) only had the resources left for one final game. Hironobu Sakaguchi was in charge of the seemingly insurmountable task of saving the company. Aptly named, Final Fantasy needed to succeed, and with the help of artist Yoshitaka Amano and composer Nobuo Uematsu, Final Fantasy not only was massively successful, it also spawned the series that has since become the benchmark that nearly all roleplaying games are compared to in one way or another. Final Fantasy tells the tale of four “Light Warriors" with mysterious backgrounds that have joined forces to restore light to the world and vanquish the evil that has spread across the land, illuminating four elemental orbs in the process. 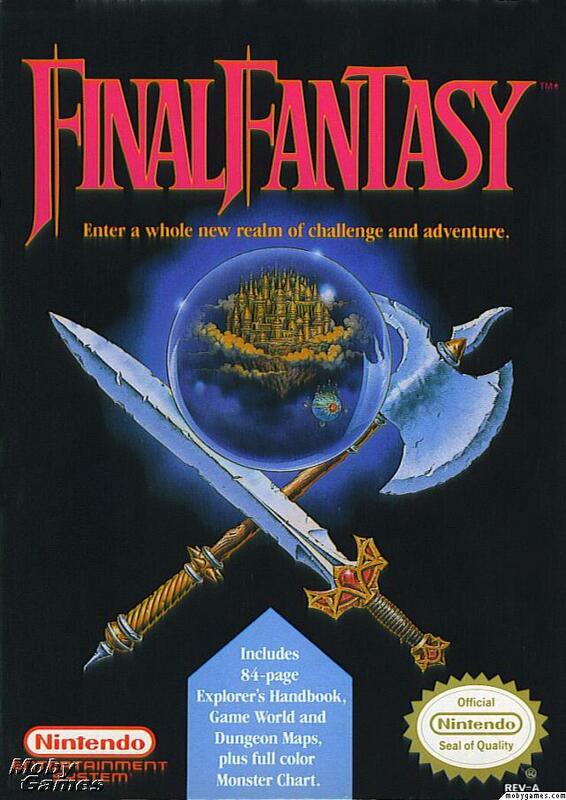 While the plot of the game is entirely cliche by today’s standards and the in-game dialog is succinct and non-sensical at times, Final Fantasy was unlike anything console gamers of the late 80’s had ever seen before with an epic world map spanning three continents, party customization, and unmatched gameplay depth. The original Final Fantasy [App Store] was not an easy game by any means. The magic system didn’t make much sense, the death and save system was extremely unforgiving, and some of the later dungeons required tons of grinding to earn experience and money to buy the provisions needed to make it through alive– And even then, a string of random encounters could put an end to hours of progress. A strategy guide was practically required, and in its day, Funco Land (now GameStop) sold the used Final Fantasy NES cartridge for far more than its original retail price after the supply dwindled following the surprise success of the game. Final Fantasy has since been remade and rereleased several times over the years, and while the basic story and gameplay mechanics have remained the same, many tweaks and refinements have been applied in the process. 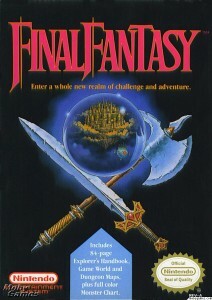 The iPhone port of Final Fantasy includes the high resolution graphics and reworked soundtrack of previous revisions, the additional “Soul of Chaos" and “Labyrinth of Time" dungeons, as well as a greatly reduced difficulty level which has served as a point of contention amongst Final Fantasy fans. Your party seems to level up much faster, you can save anywhere outside of battle, and ineffective attacks are a thing of the past. (Previously if you assigned a party member to attack a monster and that monster dies before they attack, they just swing at nothing instead of the next available target.) Like any good iPhone game, your progress is saved when you quit the game. When you load the game again, you will be able to resume from where you were in a dungeon or on the world map. This has one side effect though, in that you can cheese your way through skipping random encounters by just quitting the game when you enter battle. On your next launch, you’ll be right where you were before the battle and can keep on truckin’ through the dungeon. SquareSoft never imagined Final Fantasy would be a smash hit, as the game in no way lends itself to a sequel. A year after the original Japanese release of Final Fantasy, Final Fantasy II hit the streets, starting the trend of releasing Final Fantasy sequels that all feature a similar theme with a new game world as well as tweaks, refinements, and modifications to things like the battle and leveling systems. Again you play as a party of four (this time without the ability to customize which classes were in your party like the first) and once again save the world from evil. 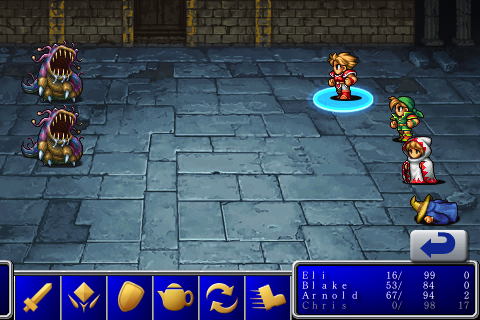 The most drastic change in Final Fantasy II [App Store] is way your characters level up. Instead of strictly increasing in level as you earn a certain amount of experience, the more you use certain abilities, the more powerful they become. For instance, by taking damage you will eventually earn more hit points and by casting spells you eventually earn more magic points. This often confusing cause and effect system was supposed to allow players greater customization of their characters instead of the rigid class types of the original Final Fantasy, but also allowed several opportunities to cheat the system to artificially inflate the various attributes of your party members. 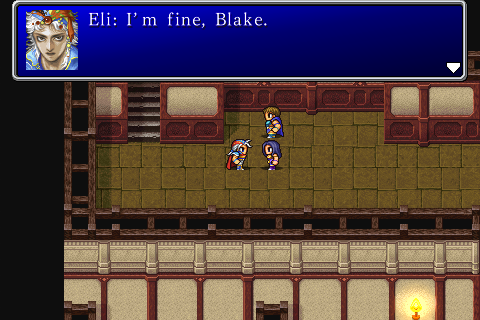 Final Fantasy II also comes with a new system to interact with the various in-game characters where players can memorize certain key terms, then recall them to question townspeople. While there is more interactivity than finding the correct character and talking to them until they tell you the next part of your quest, the new dialog system introduces tons of trial and error as you explore multiple conversation trees with each character you come across. While advancing the plot may be tedious at times, Final Fantasy II is the first game in the series where you can have less than four party members, with new characters rotating in and out as the plot progressed instead of playing the part of silent protagonists in the first. New vehicles were added, and the chocobo was first introduced, a rideable bird that allows players to move around the game world without random enemy encounters. Final Fantasy II wasn’t available in the US until 2003, as before then what we knew as the Super Nintendo Final Fantasy II was actually Final Fantasy IV, a confusing numbering scheme that wasn’t rectified until the release of Final Fantasy VII for the Playstation. 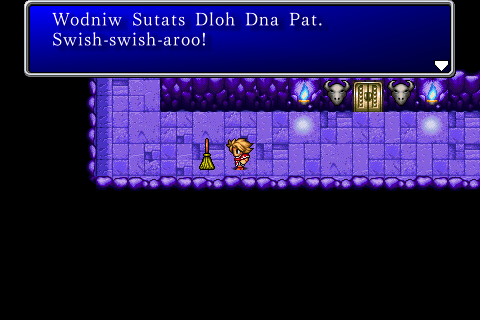 The iPhone port of Final Fantasy II also comes with bonus content released in previous remakes of the game. Both the “Soul of Rebirth" and “Arcane Labyrinth" dungeons are included. 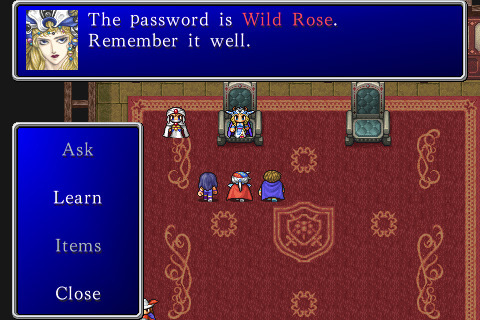 Final Fantasy II features the same save system, allowing players to save anywhere. The game also will resume where you left off, and is susceptible to the same random battle cheesing as the original Final Fantasy where you can just quit the game and load it back up before the random battle occurred. Both Final Fantasy games are controlled via an on-screen D-Pad for character movement and a button to run while in town or dungeons, with similar menu systems as previous releases, except now the various menu items are all touch sensitive. Movement and menu navigation works well enough to get the job done, but the D-Pad feels stiff and much larger than it should be. Also, navigating the menus can be irritating at times, as the touch areas for scroll bars and some menu options are annoyingly small. Regardless, this didn’t hinder gameplay much as neither Final Fantasy game really requires quick or precise movement or menu work. In battles, the menu system as you may remember it is gone, instead replaced with a row of icons on the bottom of the screen to attack, cast magic, use items, etc. Targeting is as simple as touching the party member or monster you want to select, and overall the battle system works well although like most games with random battles, can get very tedious, especially when backtracking and potentially fighting much lower level enemies that you can kill in one hit but still have to go through all the motions of attacking and targeting. As far as which game you should get, both are substantial pieces of gaming history. If you weren’t around when Final Fantasy and Final Fantasy II were released, keep in mind these early RPG’s lack many of the features that have since become commonplace. Because of that, you might require a trip to GameFAQs to figure out what to do or where to go next as it’s not always spelled out for you. There’s also no quest log if you forgot where you were supposed to be going. Personally, I love the original Final Fantasy. I’ve played through the game more times than I can even remember, on more platforms than I’d even care to admit starting with the NES and ending with the iPhone. I’d recommend anyone who considers themselves a fan of RPG’s or the Final Fantasy series to download the iPhone port immediately. If like me, you’ve been around since the beginning, the iPhone version is a competent port and an excellent blast from the past, even with the mediocre controls. The sequel is good as well, but I’ve never been a fan of the wacky leveling system, and the new dialog trees that are the result of the key term memorization system will quickly have you heading to GameFAQs. I’d really recommend playing through the first before downloading the second, as if you can’t make it through Final Fantasy, you likely won’t have the patience for Final Fantasy II. 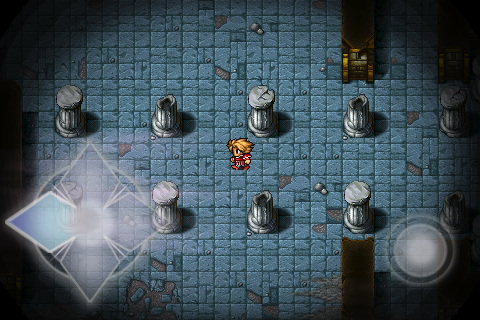 As an aside, I’m absolutely ecstatic that Square Enix has decided to start porting Final Fantasy games to the iPhone. I think I speak for every iPhone-owning fan of the series when I say: Please, don’t stop. Bring them all.